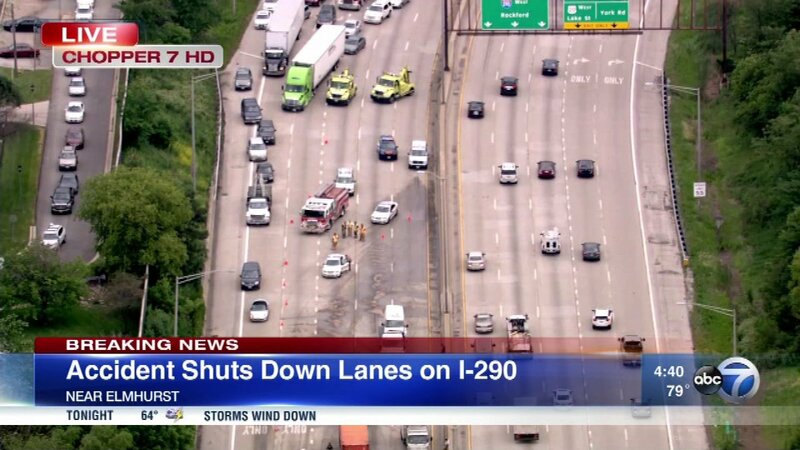 ELMHURST, Ill. (WLS) -- Illinois State Police say a four-vehicle crash shut down inbound I-290 in Elmhurst at York Road for about 90 minutes Wednesday afternoon. The crash involved a semi that sustained a ruptured fuel tank. The cleanup after the 4 p.m. crash blocked all eastbound lanes. Traffic was getting by on the shoulder. There were no reports of any injuries. Lanes reopened around 5:30 p.m.